Hope Street has been created to help break the stigma attached to those suffering from poor mental health, particularly anxiety and depression. Hope Street is a place dedicated to helping others feel valued, inspired and most importantly accepted. 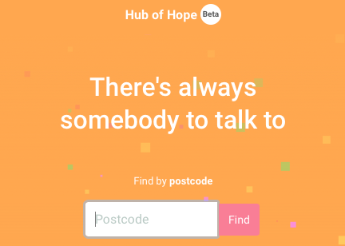 From personal experience the founders of Hope Street know all too well the feelings of isolation desperation and loneliness that can come with suffering from anxiety and depression but also for those who care on a day to day basis for their friends and loved ones. Our goal is to ensure that everyone who walks through our doors feels welcome and their experience with us provides a sense of belonging, inspiration and hope. Each week they will hear from others who have been in their position, whose minds have been invaded by the very thoughts they are experiencing but who have come through those times to discover and experience happier times. They will also discover techniques that can help to relieve their mind of stress or anxt. We also realise that mental illness doesn’t only affect those with poor mental health but those who care for their loved one’s on a day to day basis, after all how can you understand how a loved one feels if they can’t understand it themselves. Hope Street will give carers the opportunity to be around others experiencing similar situations, feelings and loneliness. Overall our aim is to ensure anyone who visits Hope Street leaves feeling better when they leave than when they first walked through the door. PLEASE NOTE: We don’t have any trainers or training providers affiliated with Hope St. We offer all of our courses free of charge at present. We are a growing movement of people changing how we all think and act about mental health problems. Over the last three years Dom and Sheila have become well acquainted with mental health, on a scale neither would ever have imagined.